Mark Romanack, host of Fishing 411 TV and Outdoor Writer is a Michigan resident and lifelong outdoorsmen. Mark got his BS degree from Northern Michigan University, majoring in Conservation and minoring in both Photography and Criminal Justice. After graduation in 1981, Mark went to work for the Green Point Nature Center in Saginaw, Michigan as an Interpretive Naturalist. During the six years Mark worked for GPNC he concentrated on developing a wide range of outdoor education programs aimed at school age children and also adults. In 1985 Mark started writing for outdoor magazines as a means of supplementing his income. His first article was published by Michigan Out of Doors Magazine and Mark continues to write monthly for the magazine to this day. Mark’s outdoor writing career has spanned more than 30 years and generated over 4000 byline credits in 60+ outdoor magazines and periodicals. In addition to writing monthly for a host of outdoor magazines, Mark also authored 13 printed books focusing on the subject of fishing and three E-Books. 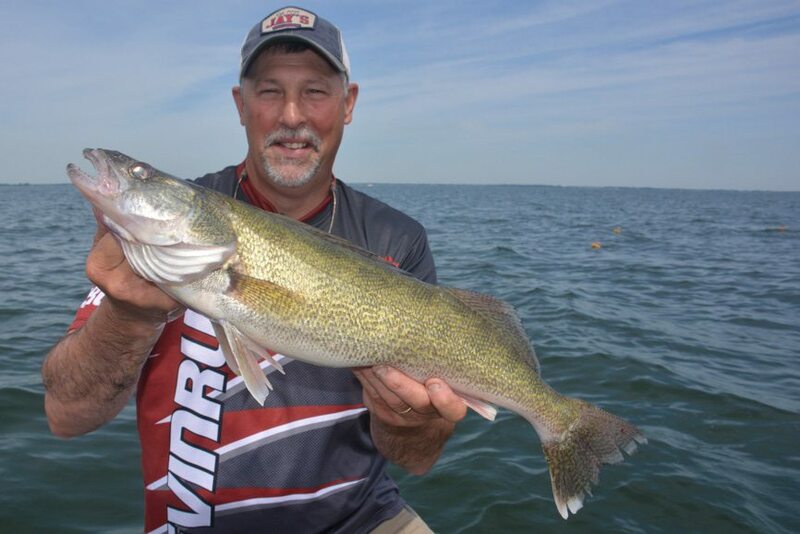 Partially retired from the writing game, Mark still writes monthly for Woods n Waters News, Lake Ontario Outdoors and he pens a weekly fishing blog for the Fishing 411 web and Facebook pages. Most of Mark’s attention these days focuses on managing a team of talented individuals that make Fishing 411 Television possible. Fishing 411 broadcasts nationally on the World Fishing Network. Currently filming Season 10, each episode of Fishing 411 focuses on education and shining the spotlight on popular fishing destinations in the Great Lakes Region and beyond. A host of manufacturers and service companies work closely with Fishing 411 to help in their branding efforts including Off Shore Tackle, Evinrude Outboards, Starcraft Boats, Lowrance Electronics, Jay’s Sporting Goods, Cisco Fishing Systems, Yakima Bait Company, Argo Amphibious Vehicles, MotorGuide Electric Motors, Smooth Moves Seats, Bait Rigs Tackle, Fish Hawk Electronics, Eagle Claw Hooks and Pro Cure Bait Scents.